New York Times and #1 Wall Street Journal bestselling author, branding expert and CEO of StoryBrand Donald Miller has spent his career studying the structure of stories. And, he’s learned a thing or two about what resonates with consumers: his memoir, “Blue Like Jazz,” was a New York Times bestseller that sold more than 1 million copies and was adapted into a movie. Through his studies and his writings, he’s learned that nearly every story ever created follows a fairly simple framework. 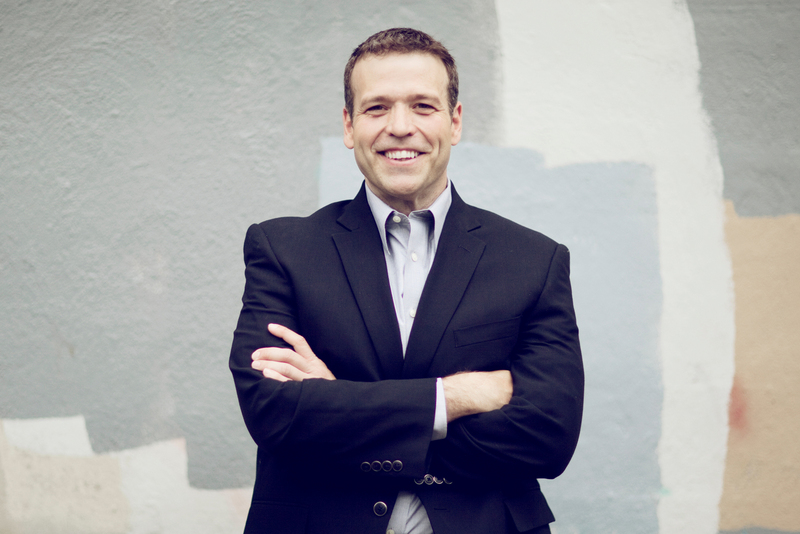 He’s harnessed that framework and turned it into a step-by-step system – the StoryBrand 7-Part (SB7) Framework – to help businesses and individuals clarify their message and engage customers. 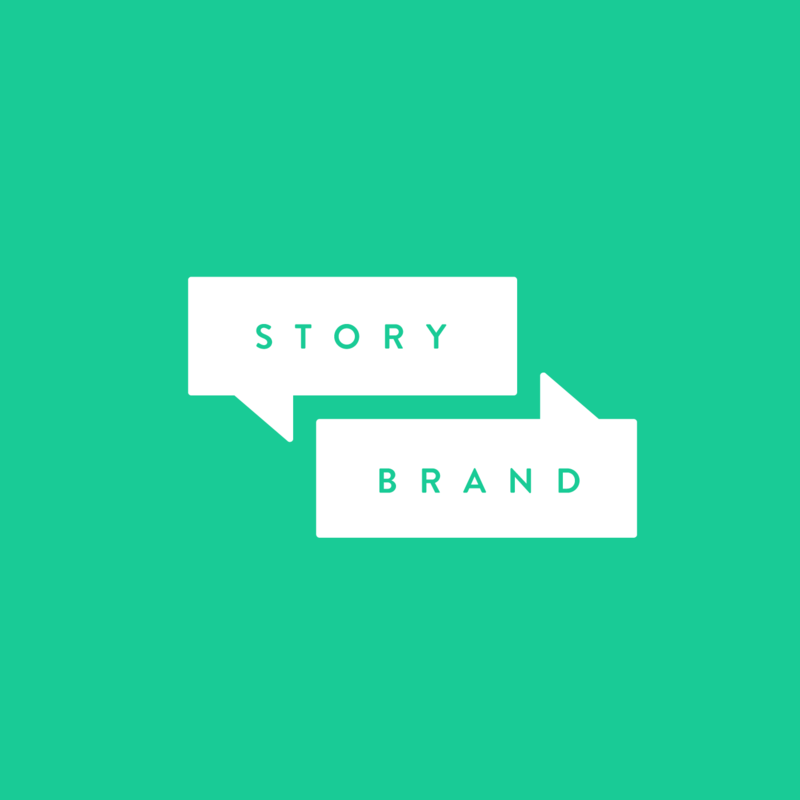 At StoryBrand, Don and his team help more than 3,000 business leaders every year clarify their brand message using the SB7 Framework. 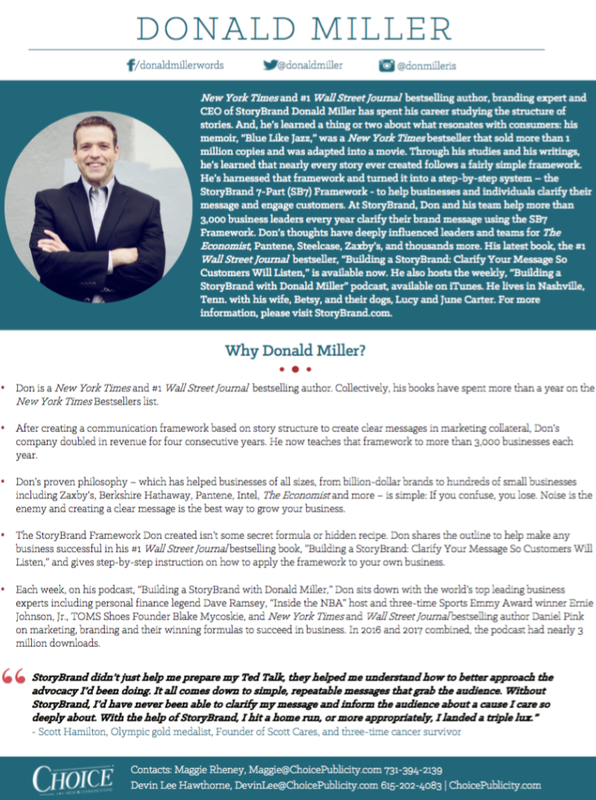 Don’s thoughts have deeply influenced leaders and teams for The Economist, Pantene, Steelcase, Zaxby’s, and thousands more. His latest book, the #1 Wall Street Journal bestseller, “Building a StoryBrand: Clarify Your Message So Customers Will Listen,” is available now. He also hosts the weekly, “Building a StoryBrand with Donald Miller” podcast, available on iTunes. He lives in Nashville, Tenn. with his wife, Betsy, and their dogs, Lucy and June Carter. For more information, please visit StoryBrand.com.